Willi Unger was born on 27 March 1920 at Warstein in the Sauerland region of Westfalen. He became an accomplished glider pilot. He trained as an engineer and passed his Facharbeiterprüfung on 1 September 1939. He joined the Luftwaffe at the start of World War 2 where he served as a Flugzeugmechaniker despite his flying qualifications. He was finally accepted for pilot training in December 1941, commencing flying training with Flugzeugführerschule A/B 10 at Warnemünde. At the end of May 1943, he transferred to I./JG 104, based at Herzogenaurach, to undergo fighter pilot training. In December 1943, he was promoted to Unteroffizier and completed his fighter pilot’s training with the Ergänzungsgruppe, based at Laleu in France. Unger was posted to JG3 on 10 March 1944. Unteroffizier Unger was assigned to 11./JG 3, based at Salzwedel. His first victory was achieved during his seventh mission on 11 April, when he shot down a USAAF B-17 four-engined bomber, from a formation that had attacked Rostock, near Warnemünde. In April, he was to down a total of eight four-engine bombers.  On 29 April 1944, IV./JG 3 and Sturmstaffel 1 were amalgamated and redesignated IV. (Sturm)/JG 3 under the command of Hauptmann Wilhelm Moritz (44 victories, RK). Unger was assigned to 12. (Sturm)/JG 3. On 8 May, after claiming a B-24 shot down, he was himself shot down but carried out a successful belly landing. In aerial combat over Oschersleben on 7 July, Feldwebel Unger shot down two USAAF B-24 four-engine bombers, his 10th and 11th victories. He was shot down again on 18 July, after shooting down a B-17 for his 12th victory, when coming into land at Memmingen by USAAF fighters. He managed to bale out landing in a tree! On 3 August, Unger shot down two B-24s, but was himself shot down by defensive fire from the bombers over the Lechtal Alps, baling out safely from his damaged Fw 190A-8 “Yellow 7” + ~. In August, he received the Deutsches Kreuz in Gold and promotion to the rank of Oberfeldwebel. By September 1944, Unger had transferred to 15. (Sturm)/JG 3. Fahnenjunker-Feldwebel Unger was awarded the Ritterkreuz on 23 October for 19 victories. He was given home leave, during which time he was married on 24 December. In December, he was promoted to the rank of Leutnant and attended a formation leaders course at Gütersloh. In February 1945, IV./JG 3 moved to the Eastern Front. Unger was appointed Staffelführer of 14. (Sturm)/JG 3 and led the Staffel on freie-Jagd and ground attack missions over the Oder front, He recorded his last three victories there. 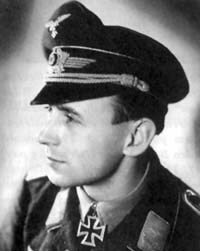 At the beginning of April 1945, Unger joined JG 7, based at Brandenburg, flying Me 262 jet fighters. Within two weeks he had completed his conversion training, however he achieved no further victories before being captured by American troops and taken to Regensburg for imprisonment. He was released on 28 May 1945. Post-war Unger was an active sports flyer winning a number of gliding competitions. He resumed his vocation as a fitter working for a local quarrying operation. He retired on 31 December 1981. Willi Unger was credited with 24 confirmed victories in 59 missions. He recorded at least 21 victories over the Western Front, all four-engine bombers.